Do you ever feel like your dog just isn’t listening to what you say? According to scientific research, your dog’s refusal to respond isn’t a matter of stubbornness; it’s more of a communication barrier. 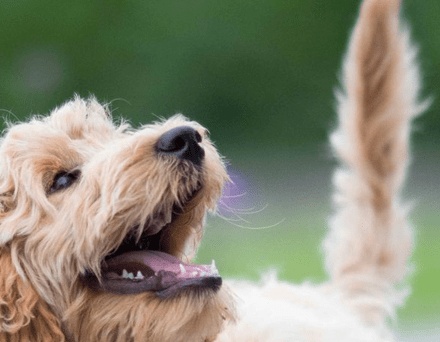 At Kalmpets Dog Care Centre, we focus on scientific methods and the results of in-depth research to create the diversity of dog care services needed by pet owners. 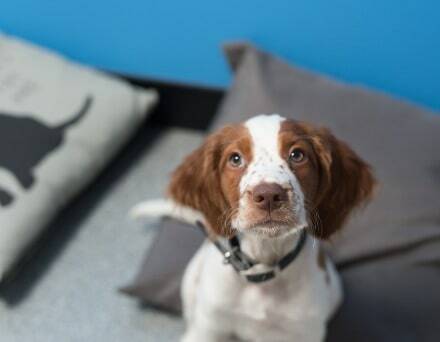 When you bring your dog to the dog care centre for a behaviour consult, we begin by observing your pet’s behaviour and asking you questions about his history. Often, behaviours have a common cause from one dog to the next. Although it seems to the pet owner that the dog is just being “bad”, it may be a way of acting out from loneliness or anxiety. Some pet owners worry about the impact taking their dog to a behavioural specialist might have on them. They may feel embarrassed that their pet acts badly in front of other people. What you may not realise is that your dog’s bad behaviour is also fuelled by stress. Before you can stop the behaviour, you need to know its cause. Kalmpets is here to help you with all your pet needs. You don’t have to be a dog lover to benefit from our skilled services. Contact reception to learn more about our pet care services. If your dog thinks its name is “No! Bad Dog” that’s your first clue that he has a behaviour problem. Does he bark at the doorbell? Or maybe the neighbours have let you know that he barks from the time you leave for work until you get home! If you wanted a good travel companion and ended up with a dog that barks every time he gets in the car, travelling has probably become a lot less appealing to you. Maybe your dog likes to chew up and even eat everything except his dish of dog food. Or he might be in the habit of stealing food off the table or helping himself to whatever is within reach on the kitchen counters! Jumping on people and digging holes in the yard are also common behaviours that frustrate dog owners. While these are common bad behaviours, there are others that are just as frustrating and embarrassing. Based on our initial evaluation of your dog, we will recommend a strategy for changing your dog’s bad behaviours. Taking the right steps now can help you get the dog that you had in mind when you brought your canine friend home. Contact Kalmpets today to learn more about our services and get started improving your pet’s behaviour problems today! Whatever the problem, we have proven solutions that will prepare you both for a calmer, happier future.